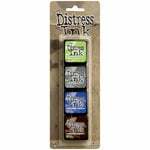 The Distress Ink Mini Kit #6 is made by Tim Holtz for Ranger Ink. 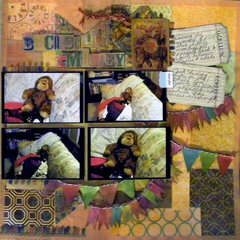 It includes four shades: Rusty Hinge, Broken China, Gathered Twigs, and Victorian Velvet. 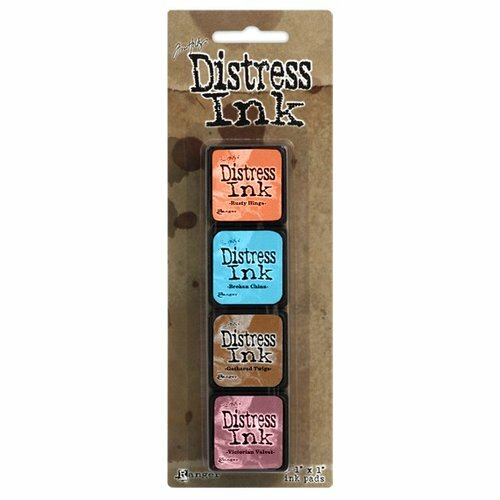 Distress Inks are water-based, acid-free, fade-resistant, and non-toxic. They are perfect for aged, vintage, and stained looks. 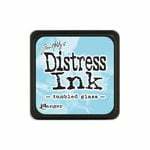 Each mini ink pad has a 1 1/4" x 1 1/4" raised felt surface for easy application directly to paper. Re-inkers with eye drop applicators are available (sold separately). Great size to take to crops. 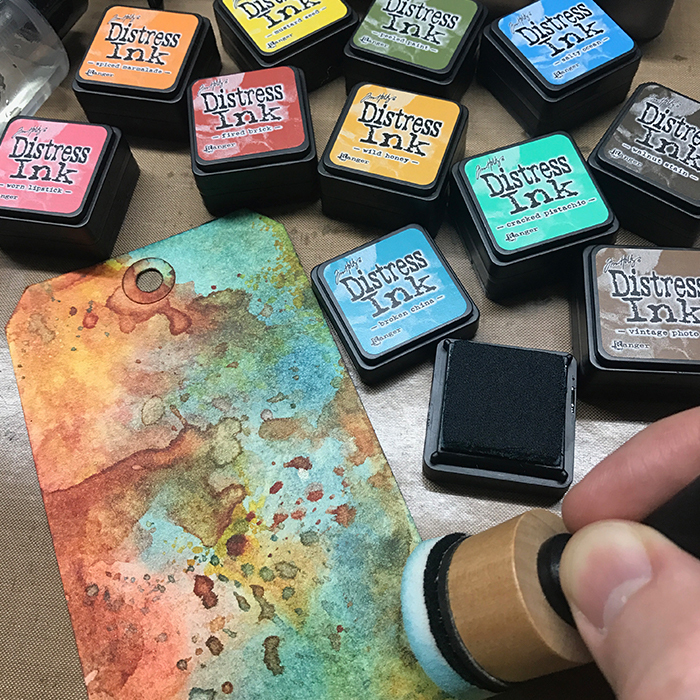 This is a great way to be able to take all of our favorite distress inks to crops without taking up too much room in our tote bags. 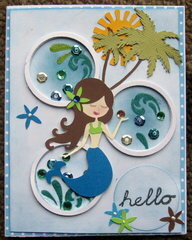 The size is easy to work with whether you're inking up a stamp, stenciling or edging some cardstock. 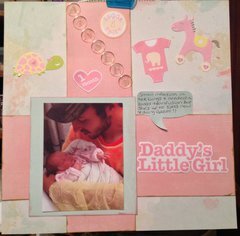 I love, love, love these little things! 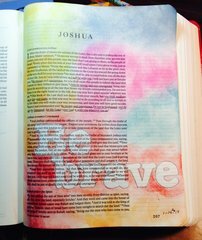 Even though I have some colors in the larger size, I find many projects in which these smaller ones are so much more efficient.